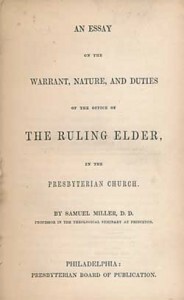 With a lineage from the Mayflower, Samuel Miller was born in 1769. Reared in a family of nine, in the home of a minister, he was home schooled and eventually studied at the University of Pennsylvania. After prayer and fasting, he decided to enter the Christian ministry. With his minister father, his home schooling in theology was a natural arrangement, and he was soon ordained to be a Presbyterian minister. 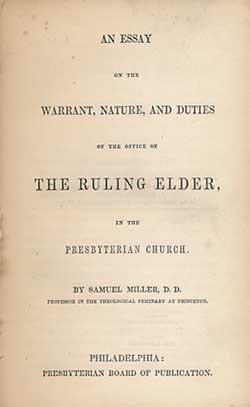 Serving as the pastor of a New York city congregation, he became convinced of the need to ordain ruling elders just as the church had long ordained teaching elders. PreviousNew post on This Day in Presbyterian History — January 11: Pray for Your Pastor!